Alison Hemsworth has led on many national projects relating to community pharmacy, the most notable being the introduction of the Community Pharmacy Seasonal Flu Vaccination Service. Her previous roles have included: performance management of community pharmacy and optometry contracts in several PCTs; Service Development Officer for Leeds LPC; Prescribing Support Technician in Bradford; Education and training of pharmacy support staff for the University of Leeds/Bradford College; and Hospital pharmacy in various departments across the country. 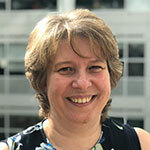 In addition to her technician qualifications, Alison has an MSc in Leadership and Management in Health and Social Care, and a Foundation Degree in Pharmacy Services and Medicines Management. In 2016 Alison was a finalist in the Women in the City Future Leaders Award.